In the Duchenne muscular dystrophy (DMD) syndrome, mutations affecting expression of Dp71, the main dystrophin isoform of the multipromoter dmd gene in brain, have been associated with intellectual disability and neuropsychiatric disturbances. Patients’ profile suggests alterations in prefrontal cortex-dependent executive processes, but the specific dysfunctions due to Dp71 deficiency are unclear. Dp71 is involved in brain ion homeostasis, and its deficiency is expected to increase neuronal excitability, which might compromise the integrity of neuronal networks undertaking high-order cognitive functions. Here, we used electrophysiological (patch clamp) and behavioral techniques in a transgenic mouse that display a selective loss of Dp71 and no muscular dystrophy, to identify changes in prefrontal cortex excitatory/inhibitory (E/I) balance and putative executive dysfunctions. We found prefrontal cortex E/I balance is shifted toward enhanced excitation in Dp71-null mice. This is associated with a selective alteration of AMPA receptor-mediated glutamatergic transmission and reduced synaptic plasticity, while inhibitory transmission is unaffected. Moreover, Dp71-null mice display deficits in cognitive processes that depend on prefrontal cortex integrity, such as cognitive flexibility and sensitivity of spatial working memory to proactive interference. Our data suggest that impaired cortical E/I balance and executive dysfunctions contribute to the intellectual and behavioral disturbances associated with Dp71 deficiency in DMD, in line with current neurobehavioral models considering these functions as key pathophysiological factors in various neurodevelopmental disorders. 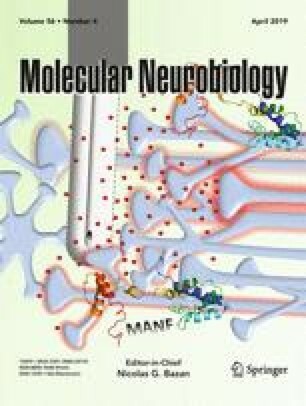 These new insights in DMD neurobiology also suggest new directions for therapeutic developments targeting excitatory neurotransmission, as well as for guidance of academic environment in severely affected DMD children. Rémi Chaussenot and Muriel Amar contributed equally to this work. The online version of this article ( https://doi.org/10.1007/s12035-018-1259-6) contains supplementary material, which is available to authorized users. We are grateful to the Zootechnic platform of our institute for mouse breeding, care, and genotyping and to Glenn Dallérac for the advice in electrophysiology. This work was supported by Centre National de la Recherche Scientifique (CNRS, France) and University Paris-Sud (France), and by grants from Association Française contre les Myopathies (AFM, France; grant number 15299) and Agence Nationale de la Recherche (ANR, France; grant number ANR-14-CE13-0037-01) to C.V. and by a PhD fellowship from Ministère de l’Enseignement Supérieur et de la Recherche (France) to R.C. Experiments involving animals were undertaken following the guidelines of the European Directive 2010/63/EU, French National Committee (87/848), and local mouse facility (agreement #D91–471-104), with official approval (#2635) from the CEEA59 ethical committee (Comité d’éthique en matière d’expérimentation animale Paris Centre et Sud) and Ministère de l’Enseignement Supérieur et de la Recherche (France).